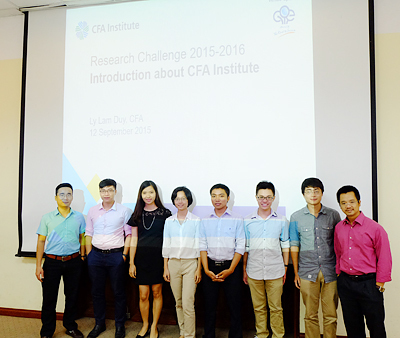 On September 12th 2015, Faculty of Finance - Banking, University of Economics and Business - VNU, coordinating with the Committee of CFA Institute Research Challenge 2016 has officially started the contest in Hall 801, E4 Building. 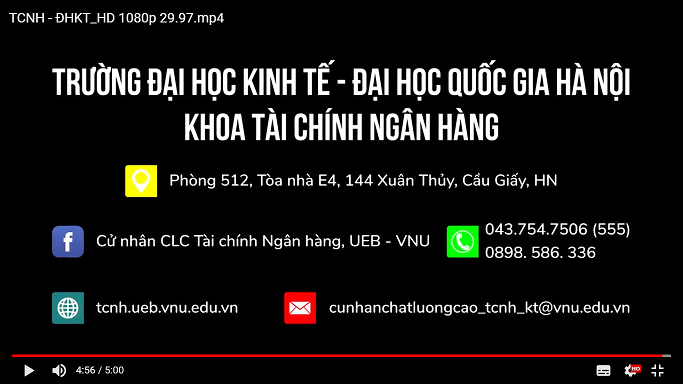 Attending the boosting contest ceremony, there were Dr. Dinh Xuan Cuong – Vice Dean of the Faculty of Finance - Banking, lecturers taking as teams’ consultant from 7 famous universities of the North (including the Banking Academy, Hanoi Foreign Trade University, FPT, Hanoi University, National Economics University, Institute of Posts and Telecommunications, University of Economics and Business- VNU). The contest is annually held by the global institution CFA in order to motivate and promote the next generation of financial experts. The competition is organized according to three levels: national, regional and global. Following to the requirements of the competition, each team has to show their analysis of a firm’s stock and creating a report to the council including the senior financial professionals in domestic and foreign countries. 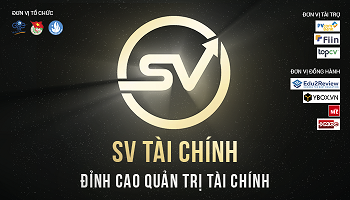 The four best teams will be selected and moving on to the national contest of Vietnam which will be held in Ho Chi Minh City; the national championship will continue to compete in the regional contest of Asia - Pacific and then take part in the Global level in Chicago (USA). 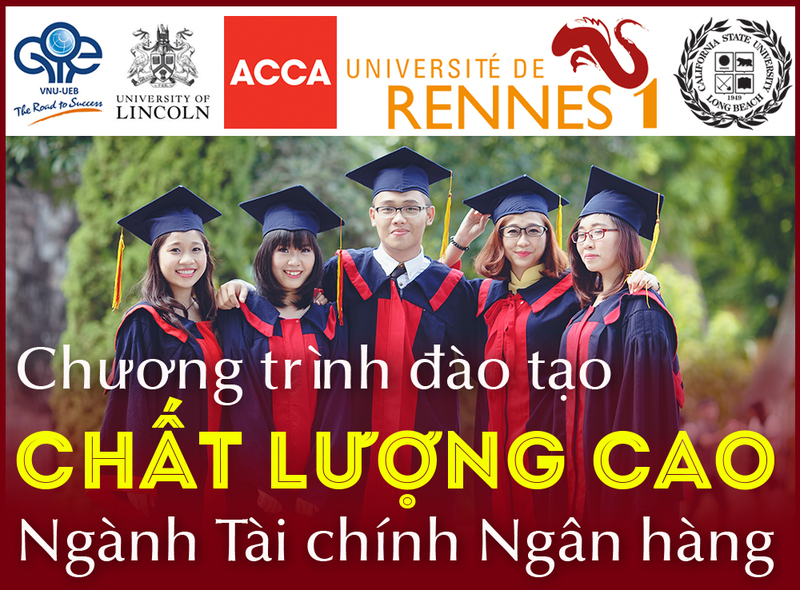 Over 13 years, the exam has expanded constantly with participant of over 800 universities in 55 countries. 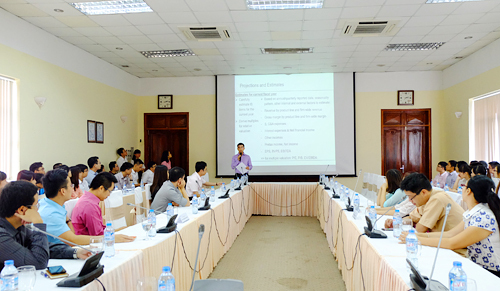 Vietnam has started to join the CFA Research Challenge since 2011 and attracting 15 famous universities around the country, including a team from the University of Economics and Business - VNU. The team has overcome the "Kick-off" immediately after the start and being selected to go to the next round. Postgraduate students in 20th intake of Finance and Banking faculty had last farewells with their lecturers.